A Paramedic is a professional who helps the doctors in specialized areas and facilitates for better diagnosis, treatment and therapy. The increase in number of patients, variety of diseases and the demand for immense treatment have paved the way for paramedical professionals who are expert technicians or therapists providing better quality to human health care. Paramedics are the key players in the Health & Medical Sector. Without paramedics, the entire health industry may become almost non-functionary. The demand for laboratory technologists will always increase, as the number of multi-specialty hospitals, laboratories etc. are increasing. The career of a lab worker depends on academic and technical skills. A certified medical laboratory technologist may find an ever-growing career in a hospital, minor emergency centers, private laboratory, blood banks, doctor’s clinics pathology lab and various clinical research centers. Technologists can advance to supervisory or management positions in labs and hospitals. They can also work as Laboratory manager, Health care administrator, laboratory information system analyst, Educational coordinator etc. Additional opportunities are available in molecular diagnostics and molecular biotechnology. Assist eye specialists in big eye hospitals, Eye care health units. Can work as refractionist, orthoptists, theatre assistants and refractionists. Self-employment as opticians, optometrists and refractionists, can start your own eye clinic, Optical shop, lens manufacturing unit. 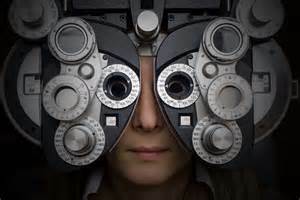 The scopes are high to work as optometrist in India and abroad.